Wisconsin voters are demanding to know where candidates for federal public office stand on democracy reform solutions and several Wisconsin congressional candidates, including Democratic US Senate nominee Russ Feingold, have heard voters’ calls and answered the "Who Will Fight Big Money" questionnaire. Launched by a coalition of national democracy reform groups and led by Common Cause, the "Who Will Fight Big Money" campaign is a nonpartisan effort to get congressional candidates from across the country on the record on solutions that will bring balance to our democracy, including increasing political spending disclosure, overturning Citizens United, enacting citizen-funded election systems, and reducing barriers to the ballot box. Since the campaign’s launch, nearly 40,000 people have visited WhoWillFightBigMoney.org, and thousands have sent emails and tweets to candidates urging them to fill out the questionnaire. If your incumbent U.S. House Member and/or challenger have not yet answered these questions, demand that they do so. You have a right to know and they have the duty and responsibility to respond. 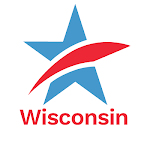 Russ Feingold Joins Other Wisconsin Congressional Candidates in Telling Voters Where He Stands on Democracy ReformTweet this!